One Day Intensive: Testimonials from Katie + Julie! My One Day Intensive Program is great if you’re struggling to stay committed to a health & fitness program. We dig deep to find out what is holding you back mentally from feeling good, confident, and happy about your body. We video tape workouts, record positive affirmations, create your own personal and powerful mantra, schedule, workout, and food tips. Fill out a client assessment form HERE if you’re interested in seeing if this is right for you. This program is 100% customized and personalized. Check out what a couple of my clients had to say about their experience! Interested? Fill out a client assessment form HERE if you’re interested in seeing if this is right for you. My smoothie recipe was recently featured on Diets in Review: Check it out below or Click Here for the full article! – Place a whole banana and a cup of frozen strawberries into a blender. – Then add two tablespoons of ground flaxseed and two scoops of protein powder. – Next, add a cup of coconut milk. Blend for 60 seconds, and you’ll have a strawberry shortcake treat! – If you’d like to make it taste like chocolate, add some chocolate protein powder. This is a great snack or a meal replacement because there is protein in the smoothie. 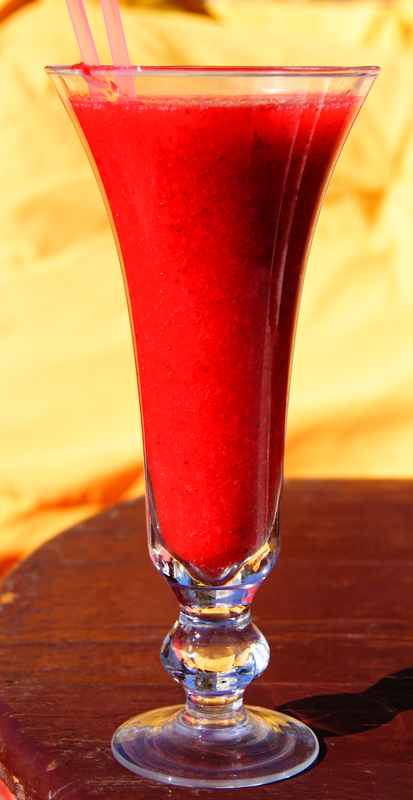 If you’re just making it as a treat, you can eliminate the protein powder and just make a fruit smoothie. Discover more ways to Step It Up with my 30 Day Workbook! During the summer it’s nice to run outdoors and get some fresh air during out workouts. In fact, some people even cancel their gym memberships because they are committed to running or biking outside. If you enjoy doing your cardio workouts outdoors, don’t forget to add in some strength training for a stronger and more toned you! Lunges: Step one foot in front of the other, and bend your front knee so that it’s just above your ankle. Press back up to standing, repeat 20 times per leg, then switch. Push Ups: Come into a plank position and lower down into a push up, either with elbows wide or elbows hugging into your sides like chaturunga. Tricep Dips: Find a bench and sit on it. Then place your hands, fingers towards you, onto the bench. Scoot off of the bench with bent knees (easier) or straight legs (harder) and lower your bottom down towards the ground, bending your elbows. Press yourself back up, and then lower back down. Looking for more lifestyle inspiration? Women everywhere use my 30 Day Workbook to get motivated, confident, and mentally fit. “My mom taught me to snack in a healthy way instead of eating a bunch of junk food. I remember eating graham crackers and celery sticks with peanut butter on them, and raisins in the car on the way to my sporting events. She’d always make us eat broccoli even if we didn’t like it, but let us dip it into ranch dressing with our sandwich at lunch. Have You Missed Me? Update & New Stuff for YOU! For example, did you know that my 30 Day Workbook also comes with 30 videos? Celebrity Bartending Tonight + Drinking Tips! Tonight Marissa and I and a few other members of the TV show will be celebrity bartending at a breast cancer event! Get your tickets HERE. – Get hydrated before you start drinking alcohol. You should be drinking half of your body weight in ounces. – Stay hydrated instead of oversaturating your liver with alcohol. One drink per one glass of water. – Steer clear of bright liquors or heavily flavored mixes. A neon yellow drink screams “too much sweet and sour mix!” Try to get natural ingredients when possible, such as lime juice squeezed from a lime. – Mindfully take sips, not gulps, of your drink. Whether it’s wine, beer, or a mixed drink, become more present and conscious of what you’re doing and how you’re feeling. Touch the glass, enjoy each sip, and mindfully order or decide not to order another round. Get more in tune with your body & be more mindful while drinking with the help of my workbook! For some, Valentine’s Day has turned in to “Singles Awareness Day”. Or, for others, it becomes a benchmark for how much your significant other loves or cares about you…I remember last year, I kept checking with the doorman to see when my big bouquet of flowers arrived – they never did, and instead I got a single rose. On the outside, I was happy and appreciative, but on the inside, I found myself saying, “WHAT? Doesn’t this person know that I’d like a whole bouquet? !” YIKES!! Time for a reality check! Everyone has their own ways of showing how much they love or care, so it’s important to appreciate those ways and be sincerely grateful for them. Furthermore, it’s important to not place expectations on gifts – not only are you setting yourself up to potentially be let down, but you’re also stealing the wonderful moments of being happy and appreciative for whatever gift you did receive. On the other hand, if you find yourself single, again, it’s time to pour some love on yourself! 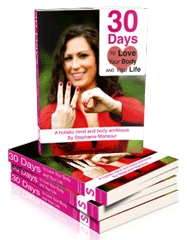 Check out my 30 Day Workbook (see below) to get a better relationship with your body and yourself. It’s important to celebrate your love for yourself, not just a significant other, on Valentine’s Day. Don’t be left out! Whether you’re single or attached, do something for yourself or for your body that demonstrates self-love. Buy yourself a bouquet of flowers; buy yourself a massage; spend time reading your favorite book, or do something that makes you feel good about yourself. Get more love for yourself and your body HERE! In case you missed the Step It Up with Steph Launch Party for the new TV show Put Your Money Where Your Mouth Is, there’s good news! You can feel like you were actually at the party by watching this fun and entertaining video! Don’t miss another party or update! Get on the email list for exclusive updates, tips, pics, and videos! Steph on Episode 1 of the new show! Did You Miss Episode 1? The Step It Up with Steph launch party for the new show, Put Your Money Where Your Mouth Is, produced by Andrea Metcalf, was a huge success! Pics and video to come later this week! If not, Get Behind the Scenes Pics + My Tips Here! 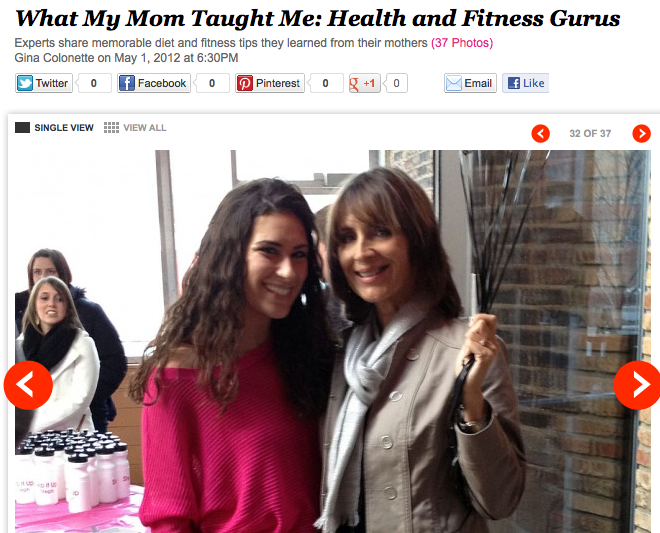 For those of you who missed it, here’s the segment featuring my client, Marissa, and me! For more info about the show, get on it! Launch Party: Win a Massage & Session with Me! Tomorrow (Saturday, Feb. 4th), we’re hosting a Step It Up with Steph Launch Party for the new show, Put Your Money Where Your Mouth Is, produced by Andrea Metcalf! The party is from 12 to 3 at Market. See the Evite for more details, and PLEASE RSVP! Besides Step It Up with Steph gifts, we’ll also be raffling off a FREE MASSAGE with Hope JelinekBerry, and a free session with me! You don’t want to miss this party! Make sure you RSVP HERE!!! !